Successfully Added Android 5.1 TV Box - 4K, Amlogic S90564bit Quad Core CPU, HDMI 2.0, Bluetooth 4.0, 2GB RAM + 8GB ROM to your Shopping Cart. Get an upgrade for your good old TV with this Android 5.1 TV Box, coming with 4Kx2K support, quad core processor, HDMI 2.0, Bluetooth and more. Improve you TV experience at home with the Android 5.1 TV Box. The small little gadget will quickly prove to be a major upgrade for your home entertainment. 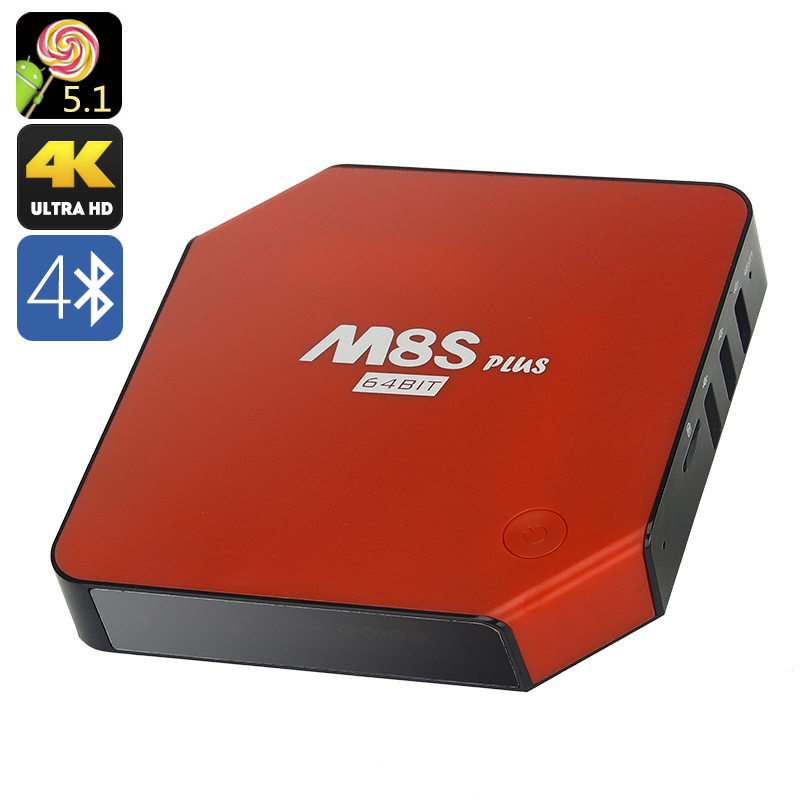 The TV box will offer you lots of content options and seamless operation control with an intuitive Android interface. Android 5.1 comes with lots of upgrades and offers access to the Play Store for more fun apps. This Android 5.1 TV box comes with Miracast for sharing — so you will be able to project your images and videos from a smartphone, tablet or laptop on the big TV screen. With Bluetooth 4.0, the TV box sports great communication with other devices, so go ahead and hook up a pair of external speakers for the ultimate experience.